RTX Sydney is a MASSIVE two day gaming and internet culture event hosted by Rooster Teeth, the USA Entertainment Company. See the greatest new games, learn about the industry, and meet the best fans in the world across this awesome two day event. 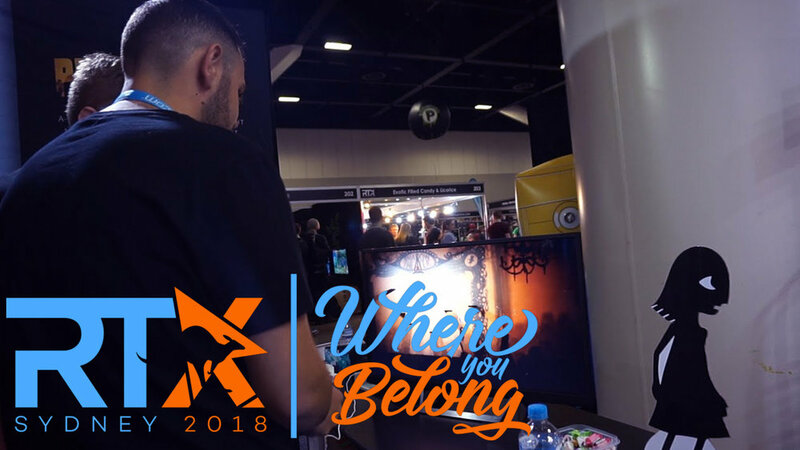 RTX took place in Sydney, NSW on February 3rd and 4th 2018 at the International Convention Centre at Darling Harbour. It's the Friday before RTX Sydney 2018 and the Explosion Network gathers together for the event that brought them all together just a year earlier. Early Monday morning Jack and Ciaran jumped on a plane back to Melbourne leaving Dylan stuck in Sydney still to hunt down the Explosion Network's lost mascot, Bevan. Saturday at RTX is all about the show floor and checking out what's on the show floor. Sunday at RTX was mostly about hitting up some of those panels you really wanted to see. For us, it was mainly the Sugar Pine 7 QnA, the RWBY panel and On the Spot. Stopping by Off Topic and Woman of RT was also great.